Austin-based Scott Felder Homes has entered into a strategic relationship with SouthStar Communities. The alliance makes the homebuilder the recommended firm for SouthStar’s development, Havenwood at Hunters Crossing. With several SouthStar Communities located along the Texas Hill Country Wine Trail, idyllic vineyards and wineries are right in your backyard, with more only a short drive away. 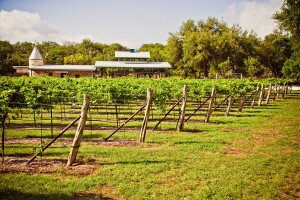 Texas is not only one of the oldest wine-growing states in the United States, but it is the fifth largest wine producing state in the country. Texas wine is most known for its own wine grape, the Blanc Du Bois, and the Texas Hill Country Wine Trail draws countless visitors every year. The wine trail features 32 wineries, vineyards and cellars that host weekend events including live music, art shows and classes on the art of wine tasting. Picture this: A blanket of snow covering a rolling countryside with icicles hanging from every tree branch. The streams are frozen over and the animals are tucked away but the sun is shining in every which way. As beautiful as the above picture may be, before your land and plants freeze over there are precautions you need to take before the cold winter months to protect the health and beauty of your landscape. Outdoor Plants: For outdoor plants that are rooted in the ground, cover the roots with heavy mulch to serve as insulation for the plant base. To protect the leaves, cover them in plastic but don't allow it to touch the leaves or flowers. Try sticking posts in the ground to protect them from the plastic covering. If the pots are easy to move then it is best to move them inside or in the garage if you know a winter storm is on its way. Land: You want to mow your lawn one last time before winter hits and allow sparse leaves and mulch to lie around here and there. Mulch will return nitrogen back into the soil during the winter and spring months. You will also want to turn off your sprinkler systems and drain the pipes to prevent them from bursting. Another community offering available homesites is located in New Braunfels, Texas. Havenwood at Hunters Crossing is in the very heart of Texas Hill Country, offering spacious lots from one to ten wooded acres for that perfect spot to build your dream home. 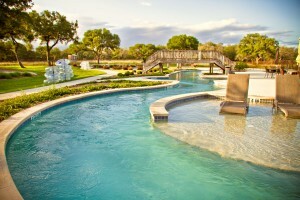 It is well known that the Texas Hill Country is one of the most popular spots for active adults to retire. In fact, it was acknowledged by Top Retirements as one of the best areas to maintain an active lifestyle, and CNN Money named the hill country as one of the best places to retire in the U.S.